The Robert Mueller devotional candle: a symbol of resistance and meaning in our overflowing world of stuff. After witnessing one simple object incite a national wave of political resistance, I can tell you the answer is a resounding YES. When artist Clare Winter of Devotional Democracy chose to design a devotional candle of Robert Mueller, her intention was to use her creativity to give strength to a man who is likely going to make a case against our current president and his administration. The candle was the cylindrical type you would see in a church or an altar. She brilliantly chose an image of Mueller that conveyed him as a serious and important man with a bright halo of hand-embellished rhinestones that sparked brightly. Her creation was a simple object, but quickly became more than just a candle. 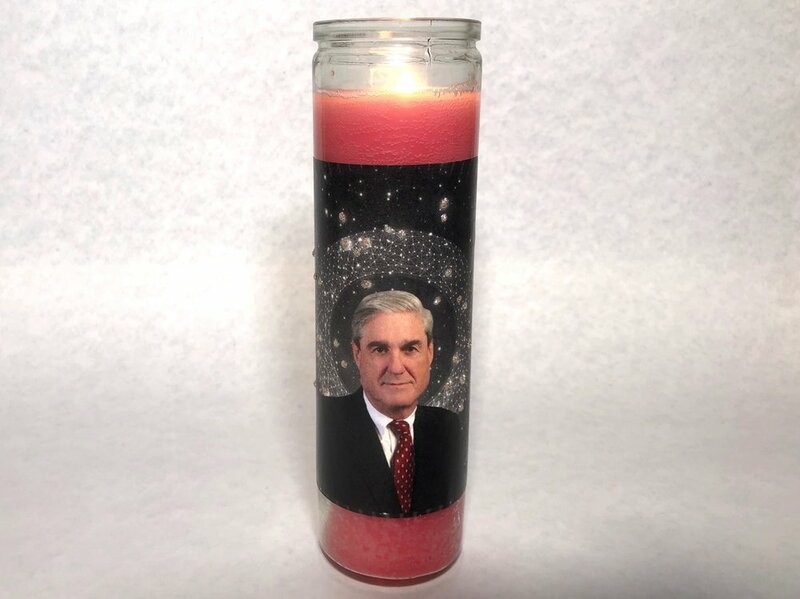 On December 2, 2018, Cargo Inc, a Portland-based marketplace that specializes in unique goods, posted a straightforward photo of the candle with the caption, “In stock now, the Robert Mueller devotional candle”. There was no big social spend, or campaign to support it, it was a simple, independent retailer posting a product. When the Cargo team opened shop the next day, they were shocked to have a flood of consumer demand for the candle. The website was sold out, there were endless voicemails, DM’s, and hundreds of emails from consumers all over the US frantically asking, “I have to have this candle, how can I get one?”. People were lined up outside, all waiting to buy the candle. This singular product post had 6,100 shares, 249 comments, 101,556 engagements and reached half a million people, essentially overnight and all through organic sharing. For some context, Cargo Inc is an independent retailer with a small staff and suddenly it was at the center of consumer demand for one thing: the Robert Mueller devotional candle. The phone rang off the hook, people streamed in and hundreds of people put their names on a waiting list to get one. Wait, is this the emotional resonance and connection we strive to create between objects and the people who buy them? Can people in an age of everything’s on Amazon still find meaning in a purchase and use it to represent what they believe in? Yes. People had suddenly connected with this candle, and to use it became a symbol of political resistance and want for change. One woman’s creative idea and an independent retailer were empowering shared storytelling, this became a candle that mattered. Cargo sold over 600 candles online in the first three days, another 460 in store, with an end total of over 2,000 candles in the three weeks before Christmas. This was a handmade item that sold as quickly as the artist could make them, Cargo kept selling out throughout December. This Mueller candle phenomenon proved that in a world of things, there is still meaning in objects that shape our consumer reality with purchase power, and can bring unity when we need it most.